Traxxas, long known for their extensive and exciting collection of ground and water based RC products, is now taking it to the skies! 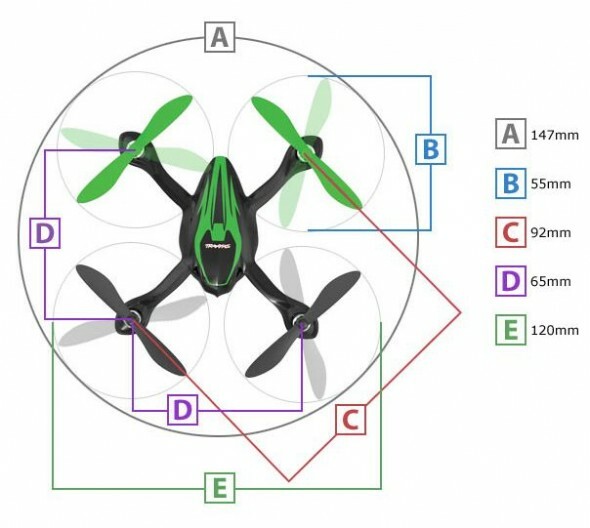 The new QR-1 High Performance Quad-Rotor Helicopter features 6-axis stabilization and in Expert Flight Mode is capable of lightning quick response, high-speed banking turns, flips, and snap rolls. Let go of the sticks, and the QR-1 quickly transitions back into stable flight. Included in the box is the Traxxas 2.4GHz Multi-Mode transmitter, which can be easily switched between normal and expert mode. This dual-stick transmitter also feature digital trims and a LCD display. The QR-1 includes a pair of 240mAH single cell lipoly batteries and a USB port powered dual battery charger that can be used to ready both of them for the next flight. The Traxxas Helicopter Replacement Plan allows you to trade in your QR-1 at any time, and in any condition, and purchase a new model (transmitter not included) for just half the list price of the ready-to-fly QR-1. Accessories Include Two 1-Cell 240mAh LiPo (3.7 volts) battery packs, USB-powered dual LiPo charger, spare rotor blade set, Phillips screwdriver and four Traxxas AAA alkaline batteries.